Please visit our order tracking page and fill out the form with your name address, email, and a representative will email you your tracking number. Tracking is only available to U.S. residents. Yes. We ship worldwide with FREE SHIPPING! Most customers see results of up to 7 shades within the first treatment with maximum results within 30 days or less. Yes. 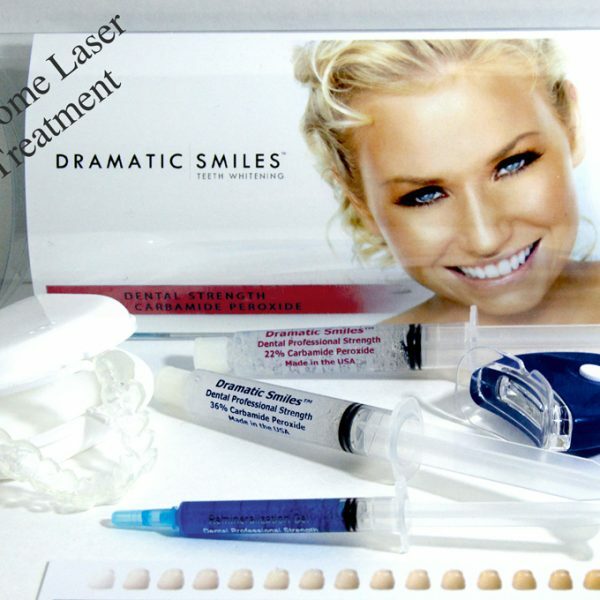 Please visit our teeth whitening instruction page to see how it works. Please visit our carbamide peroxide page to learn all about the bleaching agent. I don’t know what strength will work best for me? Those with sensitive teeth, we recommend our 22% kit. This is our lowest concentration of carbamide peroxide and is suited for beginners. If you do not have sensitive teeth we recommend ether our professional strength 36% or 44% kit. These kits will give you the fastest results due to the high concentration of the bleaching agent. A remineralization gel is included with these products. What if my teeth get sensitive? Our remineralization gel helps deter any sensitivity issues you have during the bleaching process. Sensitivity issues will go away once your gums adapt to the gels. We offer a 30 day money back guarantee on all of our products. 99% of our customers see dramatic results after using our systems. If you have further questions about our guarantee, please feel free to contact us. Why are your products cheaper than the dentist? Simply put, we are the leading supplier of teeth whitening gels and kits, making it possible to offer our customers a dramatic price break. How do you apply the gel to the mouth guards? We recommend placing a small dot of the gel on the frontal portion of the trays (where your teeth will be exposed to the gel). After, simply place the trays in your mouth and wait 30 minutes before taking out. Repeat this process each day until you have your desired results. The more you bleach your teeth, the whiter they will be. How does the laser blue light work? Our laser blue light is just as of effective as dentists and companies like zoom! use. It has been shown to speed up the whitening process by 300%! When your mouth guards are placed in your mouth, you will place the bluelight directly over the mouth trays. There is a built in auto 10 minute shut off feature. We recommend 20 minute session with the bluelight but you can choose to go longer or short time periods. Our laser bluelight is 100% safe. For more information on laser teeth whitening, please visit our information guide. What is the teeth whitening pen and how does it work? 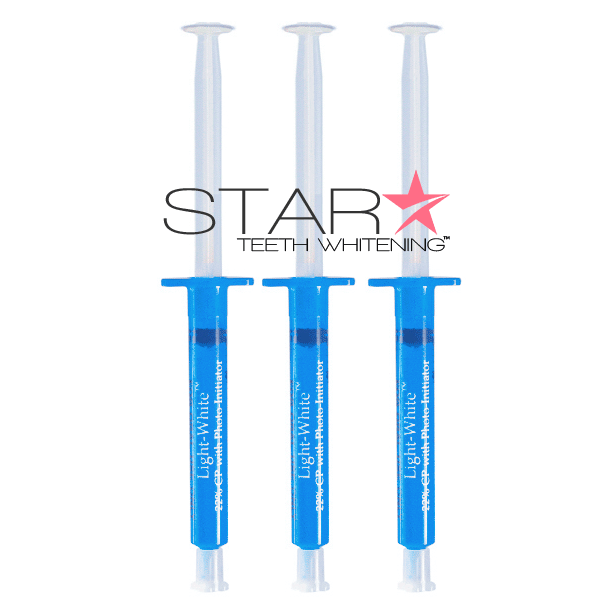 We now offer an on the go teeth whitening pen with a concentration of 35% carbamide peroxide. This product is great for touch ups without using your trays. Simply brush on the solution over the desired teeth and go about your day. 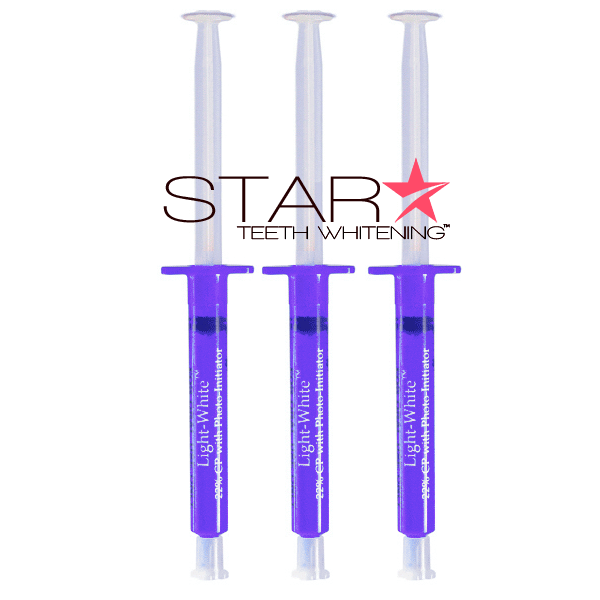 Our teeth whitening pens can be used as often as the customer desires. I have tried your products and love it! How can I write a review? Please visit our customer testimonial page. There you can submit a review and it will be posted on the site. Do you offer returning customers discounts? Yes. Please fill in your email address in our news letter and we will send you future discounts and special offers. We respect your privacy. We will never sell or distribute your email to 3rd parties. 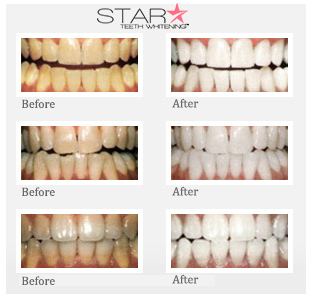 We guarantee that your teeth will be bleached between 3-10 shades whiter in less than 30 days or your money back. Most customers see results up to 7 shades after the first treatment! How does it remove stains? When the active ingredient in the gel (carbamide peroxide), is broken down, oxygen acts upon the stained deposits which oxidizes them into a pure white color. Years of clinical tests have shown the safety and effectiveness of our system. Over 99% of people treated achieve some level of tooth whitening. Our system will not remove stains on Crowns, bridges, bonding, veneers, and fillings..
For most people, results will last between one to two years depending on the customers tooth structure. Exposure to foods, drinks (especially colas, coffee and red wines), smoking and other products will gradually darken your teeth over time. If your teeth have become darker over time, we suggest touching them up with our variety of refill gels. I already have a set of mold-able mouthpieces. Can I buy just the whitening just the gel? Yes, we sell 22%, 35%, 36%, 44% carbamide peroxide whitening gels separately. It can be used with any dental tray in the same way as your previous whitening gel. Simply put, many over-the-counter whitening products offer a very low concentration of active ingredients making them less effective. Our 36% gel is HIGHLY effective and only offered by dental professionals. In short, we offer more effective whitening power for your money than any other system on the market. M ost customers will see dramatic results after the first treatment with full results after 7-14 days.